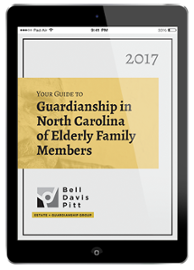 The Guardianship and Estate Litigation Blog is a resource for those interested in protecting or making legal decisions on behalf of someone else, whether through a power of attorney, a guardianship, or a trust. Our goal is to address issues and reflect on developments related to elder law, including abuse or misuse of authority granted under a power of attorney, a guardianship or a trust, as well as special needs disabilities. Whether you are caring for an aging parent, helping an ailing spouse, nurturing a special needs child, or concerned about someone who is, our aim is to provide helpful information about navigating a myriad of challenges.